Dental implants are a type of dental restoration that permanently replaces missing teeth. Dental implants look, feel and work just like natural teeth, and with proper care, they can last for decades. Dental implants look, feel and function just like natural teeth. If you're missing a tooth or multiple teeth then dental implants are a great solution that will allow you to smile, eat and talk just like before. How long will dental implant last? Care: How well you take care of the dental implants. You care for your implants just like you care for your natural teeth, with daily flossing and brushing, combined with twice-yearly visits to the dentist. Good Habits: You should avoid chewing or biting down on extremely hard items, like pen tips or pencils, and not opening things with your teeth, since these behaviours could damage your implants. If you’re wondering whether dental implants are the right choice for you, contact us! 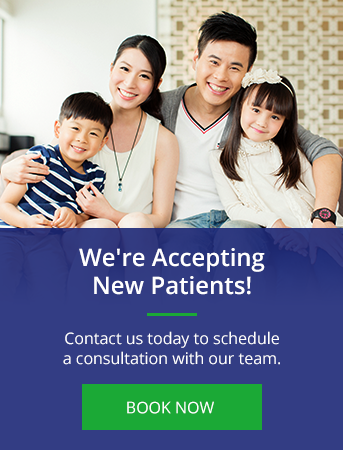 Our Clover Hills Surrey dental team would be glad to discuss your options with you.